There’s a pattern we noticed and we are not happy about it. Can we safely say that women in Bollywood have been underestimated? We took a look at the most memorable women in Bollywood in the past decade. The roles which were a lot more than just a Simran whose bauji wanted to give her permission to live her life. And a lot more than a damsel in distress. But for a Vidya Balan in Kahaani you need a Parambrata Chatterjee opposite her. We are not surprised to tell you that the well written and meaty characters in only those movies that were focused on women and the men in those movies were not that strong. There are some exceptions to this rule. There are movies where the women are as strong as the male characters. The characters are nuanced, well-written, strong, and real. Sit back, we’re taking a look at the strongest women in the Bollywood movies. Firstly, a taboo-ed issue handled with utmost grace. Amitabh Bachchan shines but Rekha and Jaya Bachchan’s characters hold their own. The conflicts, the strength, and the layers that the characters are shown in a brilliant way. Although, the movie centered around Abhishek Bachchan’s character, the movie had a lot of Aishwarya Rai. Aishwarya’s character was a well layered and well written one. She had way too much to put into the story and was a substantial support to Abhishek. The story pretended to be all about Aditya (Shahid Kapoor) but was all about Geet, from start to end. Kareena Kapoor’s character buildup was a well thought one. We’re really happy that it worked in the maker’s favor. Geet is an iconic character. The balance we’ve seen in this movie for characters and storytelling has been unmatchable. The Bachchans were the story but Vidya Balan was strong and fragile at the same time. This movie was a next level portrayal of soulmates and probably also the most real one. Deepika Padukone’s character was a messy one, a talented one but mostly it was a courageous one, Meera knew how to follow her heart. Everything was about Hrithik Roshan’s character but we have to acknowledge how brilliant the women were. Aishwarya, as well as Shernaz, had strong and influential characters. The movie is a cult modern-day remake of the iconic one. But Anurag Kashyap’s women are known to break hearts than getting their hearts broken. Leni (Kalki Koechlin) was astounding, image breaking and sheer perfection. Tabu’s character was filled with conflict, heartbreak, and what not. Vishal Bharadwaj knows how to do justice to real women. Ghazala was complex and heartbreakingly beautiful. 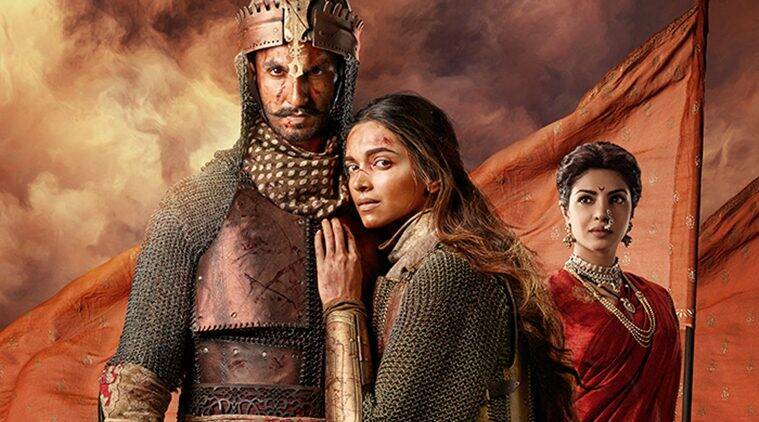 The two women were the pillars of strength for Bajirao in the story as well as the movie. Kashibai and Mastani were beautifully executed by Priyanka Chopra and Deepika Padukone. Only a strong woman can create strong characters. Zoya Akhtar’s strength shines in all her movies and her women. 2015 saw Bollywood’s perception of women change and we were more than happy to welcome the change. Piku, Masaan, Dum Laga Ke Haisha and NH10 were all about women who didn’t need a man to fulfill their dreams or live life in general. Sure, it was more about Shahid and Diljit’s characters but had Alia and Kareena’s characters not been as strong or as complexed as theirs, the movie wouldn’t be as hard-hitting as it was. This year hasn’t been all about women, it’s Judwaa 2, Golmaal 4, and even Baahubali. Men, more the merrier? Sure, this topic is quite debatable and questionable. This was us pointing out a pattern and hoping that it changes. Keep your women in the movies as complex and as strong as you have kept men, Bollywood. How Do Women Not Know That Single Men Generally Don’t Change Their Bedsheets For Days?